Court House Park is in the city of Victoria, one of thirteen communities that form the Capital Regional District of British Columbia. Recently revamped into playground, the Court House Park is a wonderful place to take a moment or two. The play ground has many climbing, swinging and balancing apparatus that allow you to become focused on some playtime. Take a few deep breaths in the lovely shade of tall Garry oak, big leaf maple, alder and black locust trees seen in the Court House Park. Located on the eastern side of the Court House building the green space also has some large rhododendron and pine trees in the gardens beds. 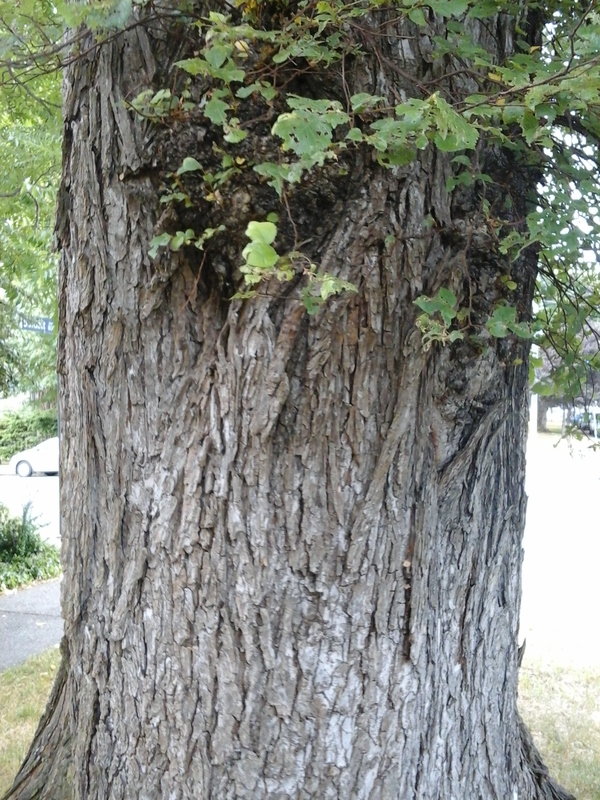 This green space is bordered by the sidewalks along Burdett, Quadra and Courtney streets. Located between the Court House building and the lawn, the parking area has a concrete eighteen step staircase to Courtney Street. 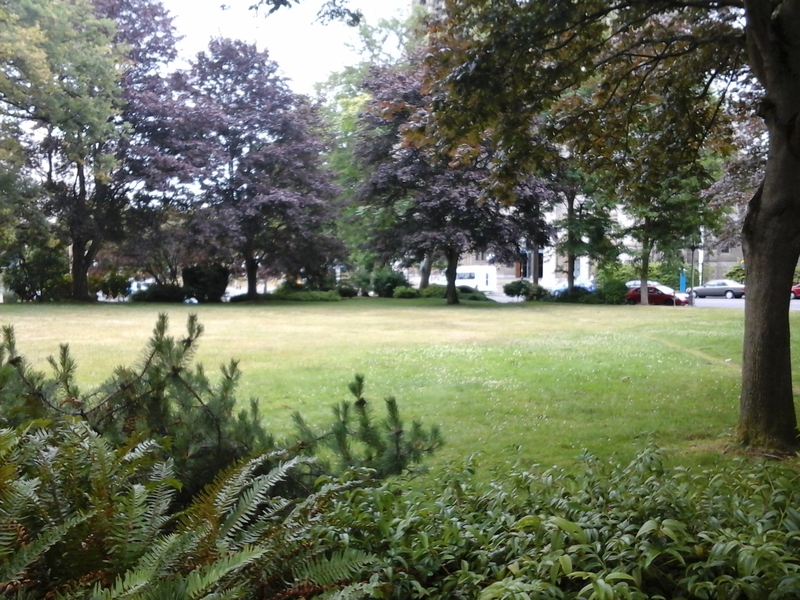 The Christ Church Cathedral Green Space is across Quadra Street and Pioneer Square Cemetery is on the north side of the cathedral. Beacon Hill Park, St. Ann’s Academy Garden, Mount St. Mary’s Hospital Garden, St Joseph’s Hospital Garden and Cridge Park are found south along Quadra Street. Court House Green Space can be reached from the Trans Canada Highway. Continue along the highway as it becomes Douglas Street. Turn left onto Burdett Street and look for the Court House on the left. There is limited roadside parking along Burdett Street and a small parking lot on the left just past the building; both require payment. City buses travel long Douglas and Fort streets from downtown Victoria near this green space.